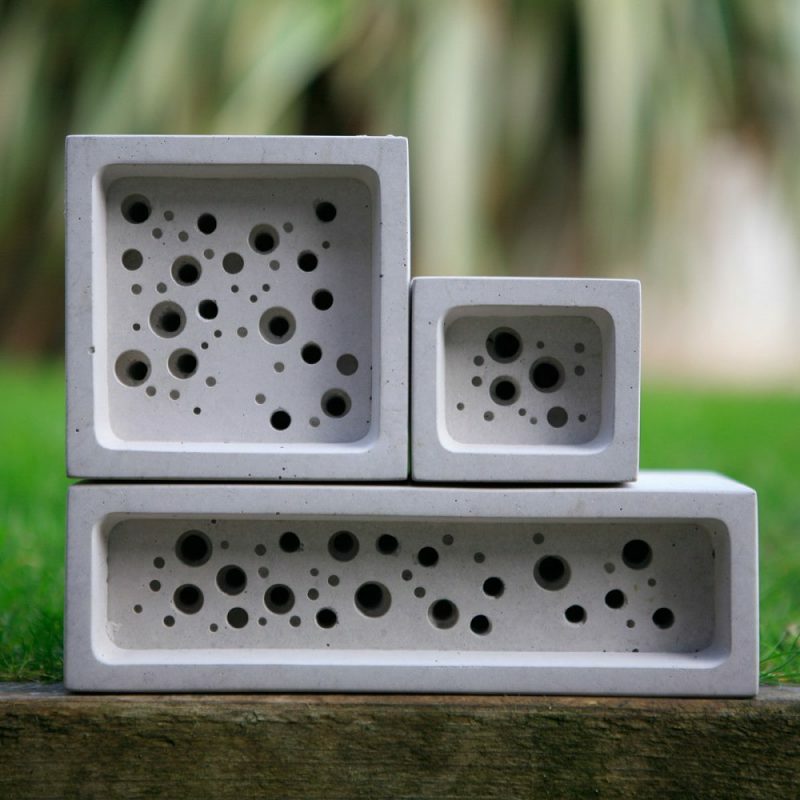 Bee Brick is an innovative nesting site for solitary bees which can be used in your garden or in a standard brick construction. It creates more habitat for non-swarming solitary bees and is a simple and stylish attempt to revive urban biodiversity. This brick was designed in South West England by Green&Blue, a family company that manifests sustainability of their products not only through their purpose but also through their material footprint. 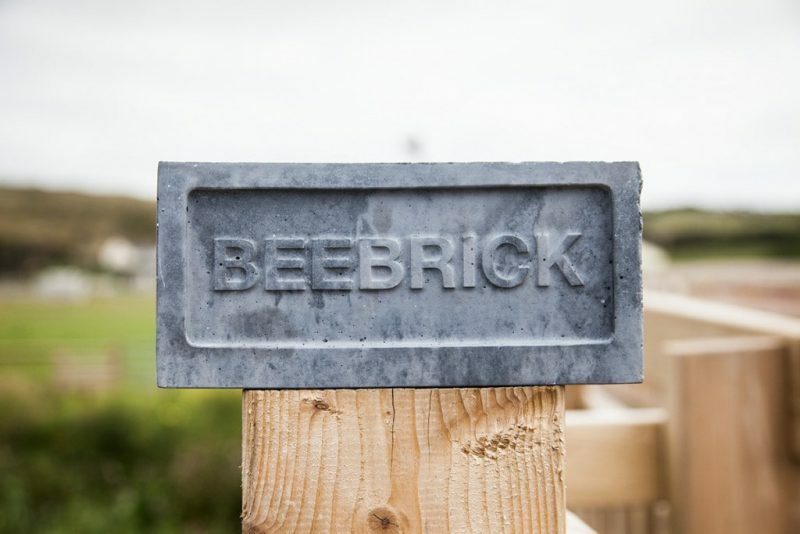 Two-thirds of the Bee Brick are made out of waste material from a local china clay industry. The brick can be built into any (brick) building or used by itself in a garden. In the UK alone, there are almost 300 species of bees and over 90% are solitary bees. This type of bees are harmless and play a key role in the pollination process which ensures a diversity and abundance of plants in an area. 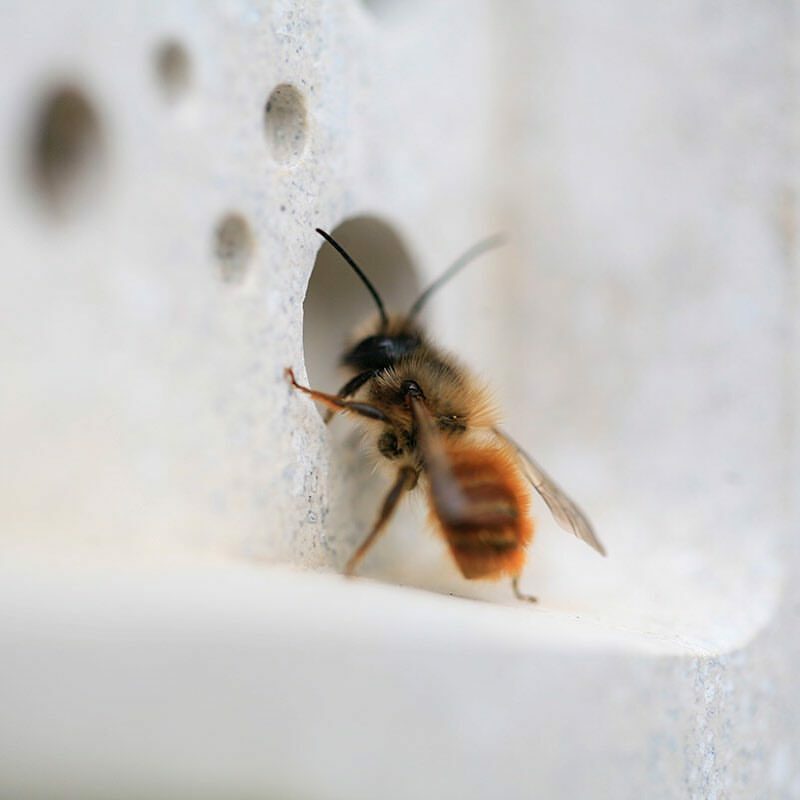 Solitary bees are facing a dramatic decline in numbers due to increased urbanization, gardening and the chemical use in farming. These new spatial and technological developments have led to the loss of many wildflower meadows and hedgerows that used to provide a natural habitat to a wide range of wildlife, including solitary bees. The decrease in bee species has a dramatic impact on food security. At the same time, costly artificial pollination is the only alternative. This is already happening in rural China: human pollinators, bee renting and robotic bees are entering the playing field of yet another industry created through capitalization on the environmental damage. The Bee Brick gives a perfect opportunity to prevent a catastrophe rather than deal with the consequences. The benefit of increased urban biodiversity together with its minimal cost should make it an essential part of all new developments in cities.